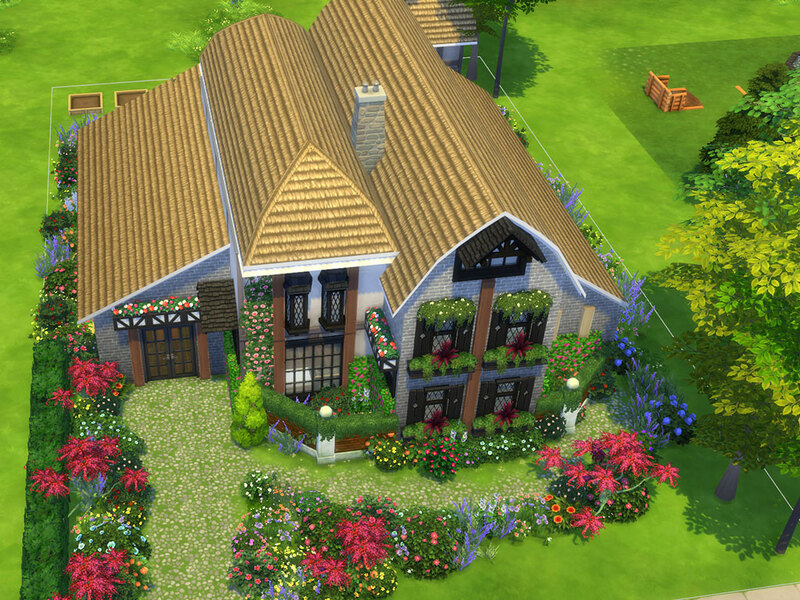 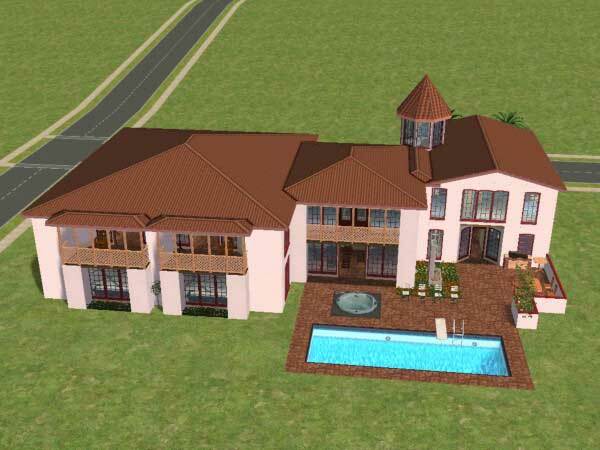 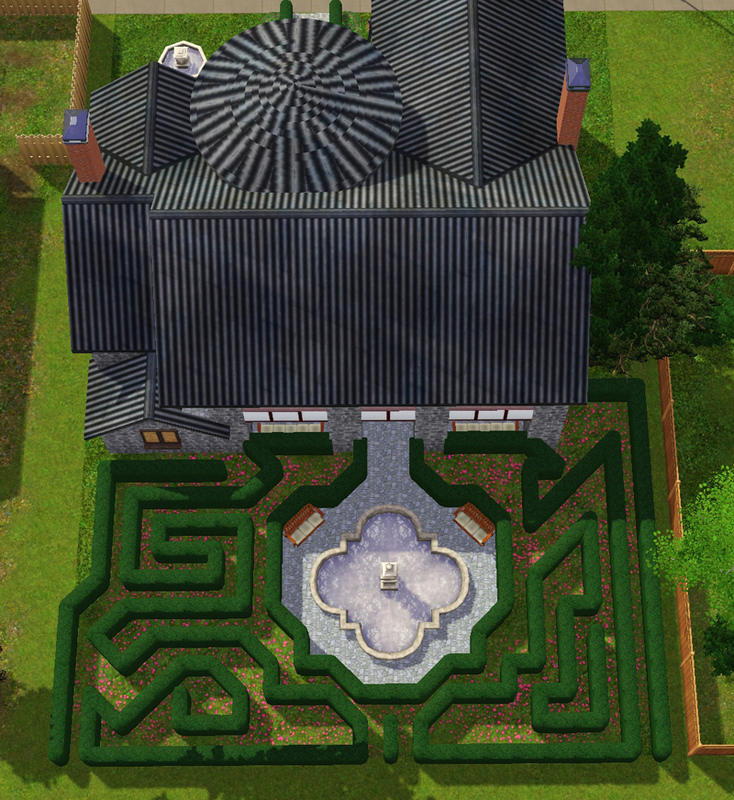 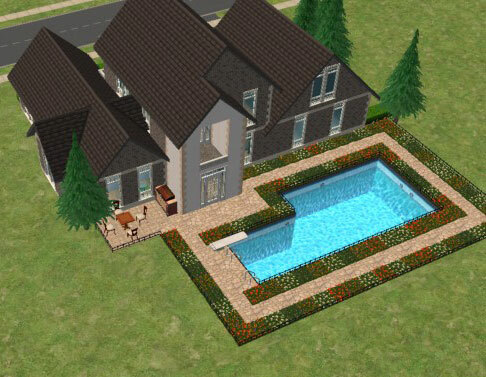 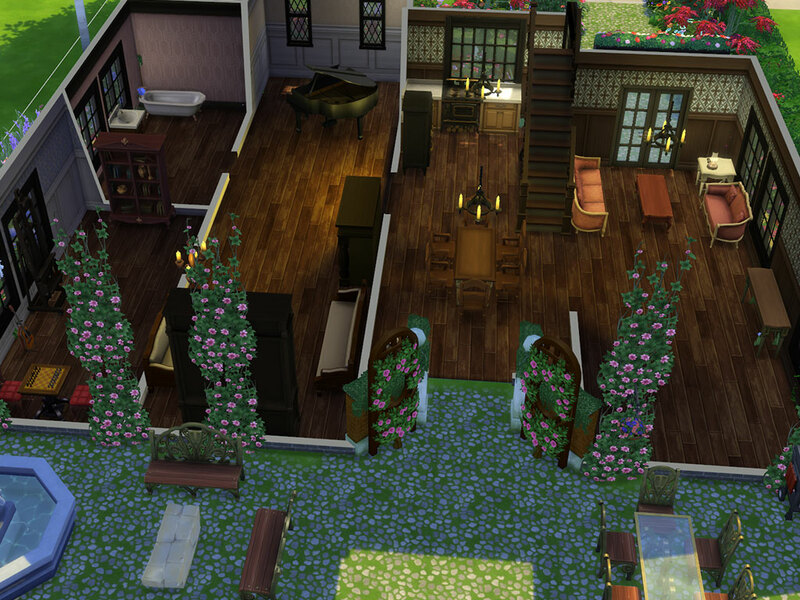 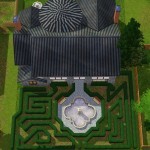 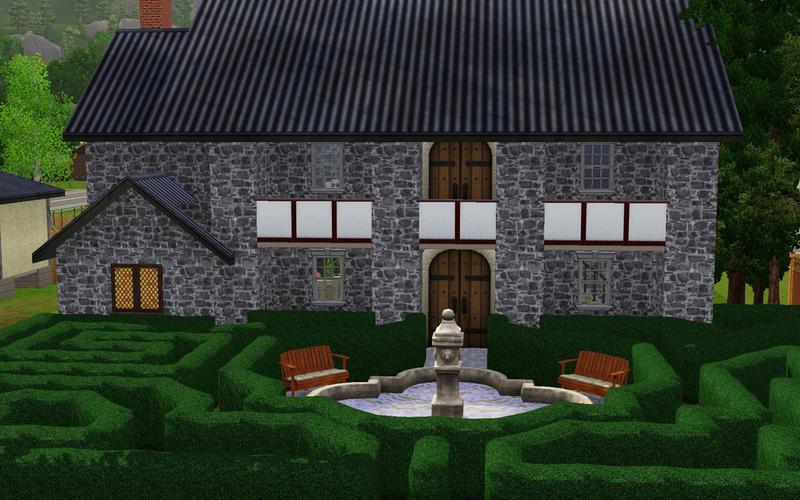 This beautiful manor home features an elegant hedge maze garden, 3 bedrooms, and 3 bathrooms. 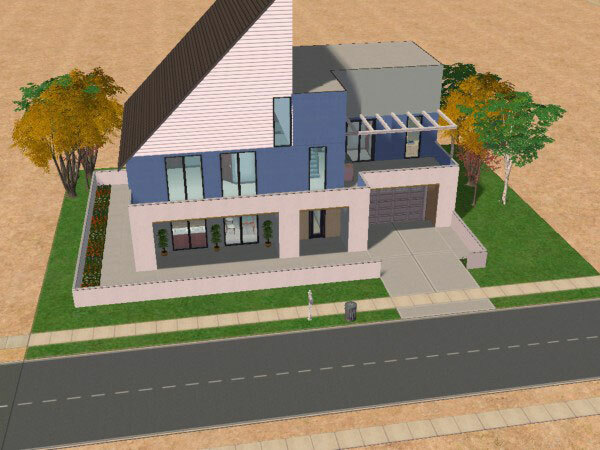 This ultra modern “from scratch” 3-level home is built on a small 3×2 lot, but has plenty of features that make it seem much larger. 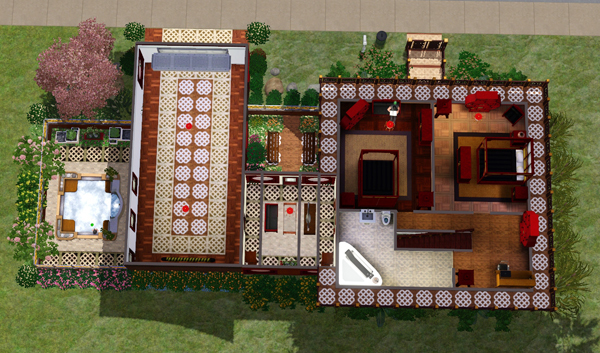 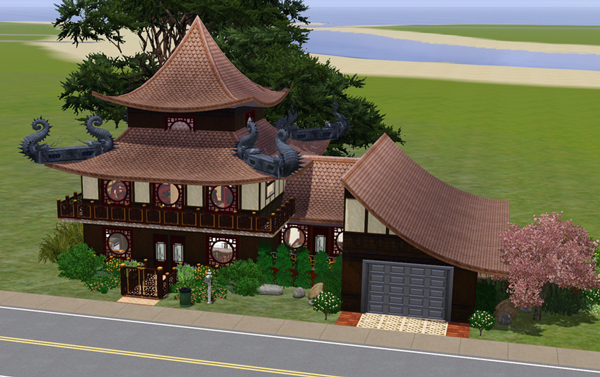 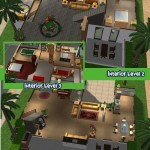 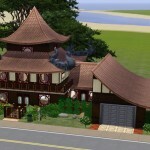 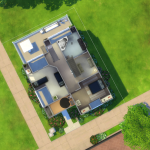 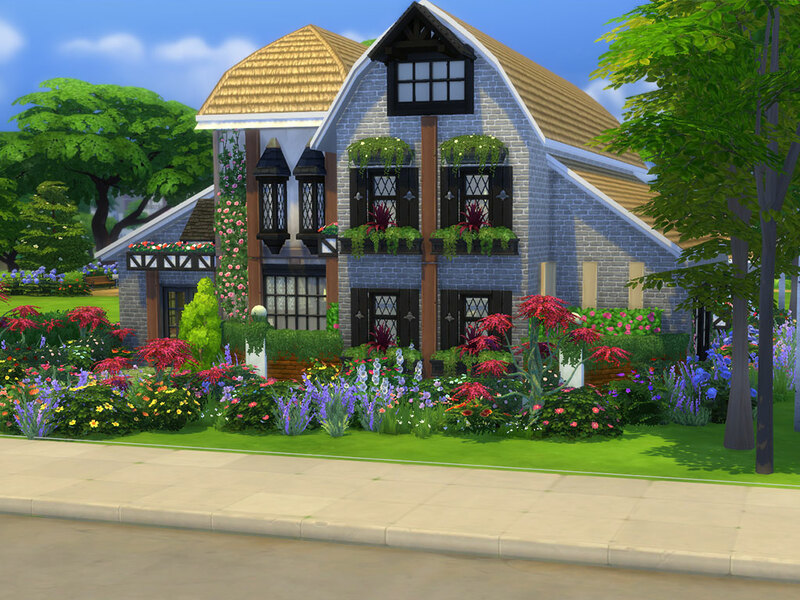 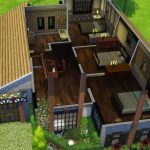 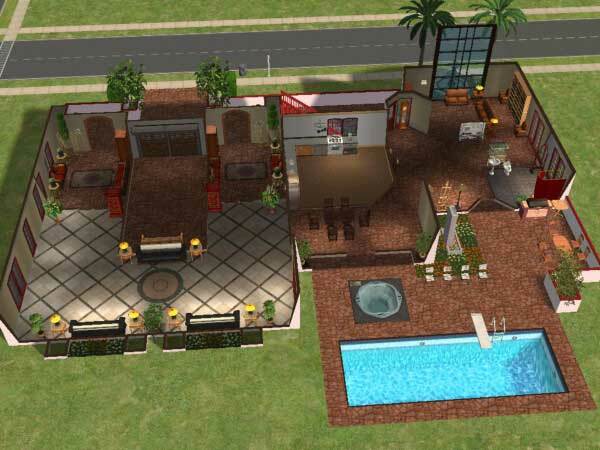 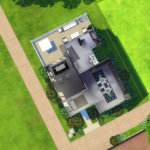 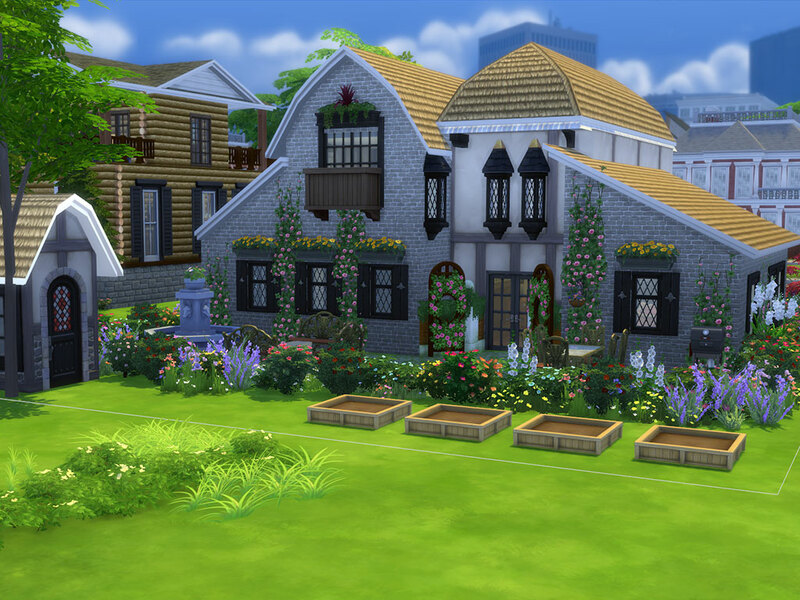 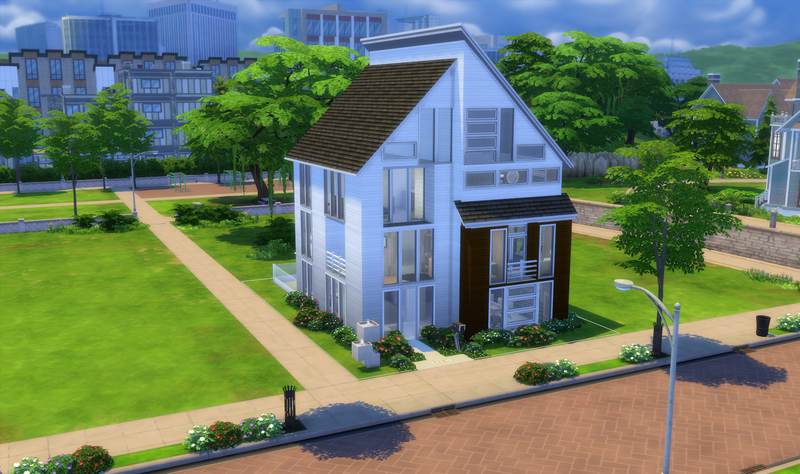 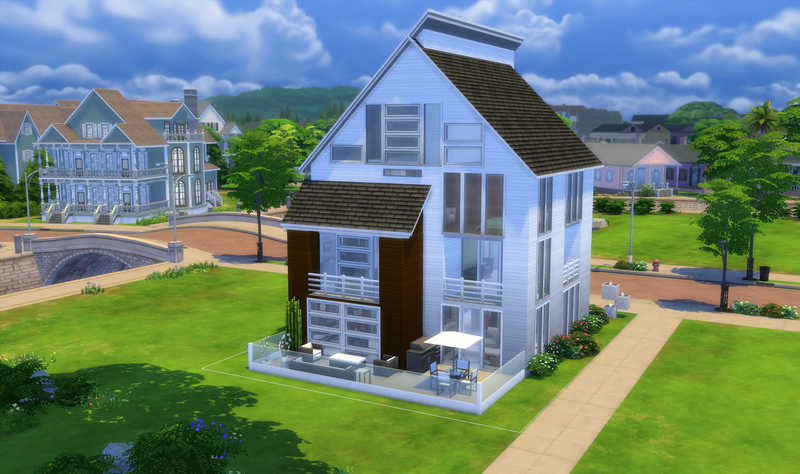 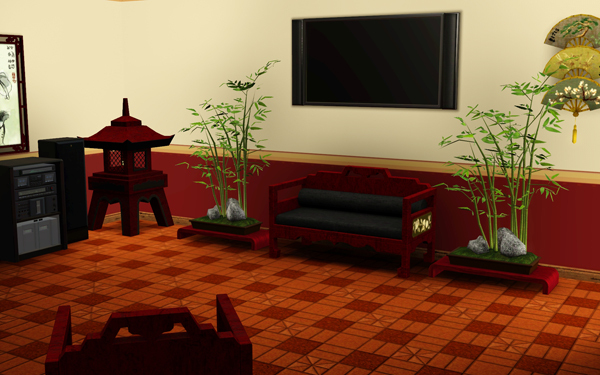 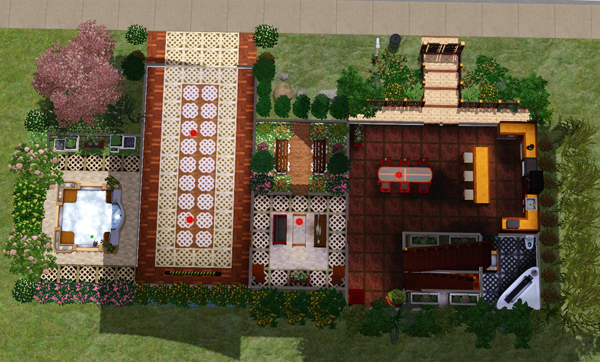 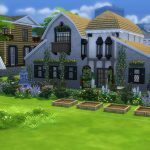 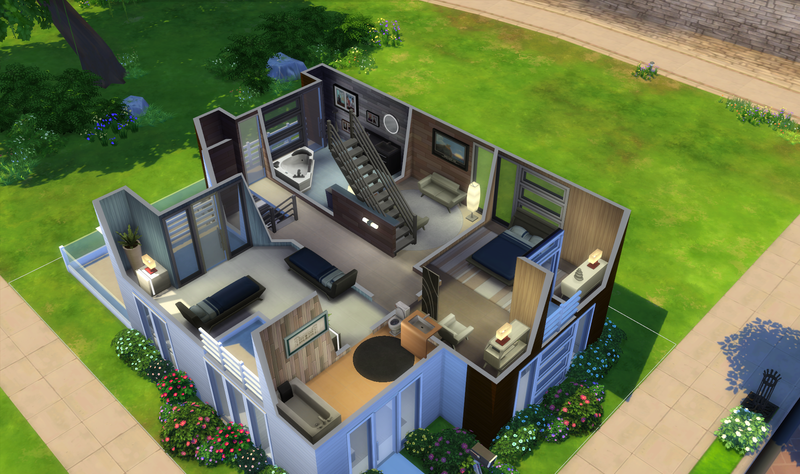 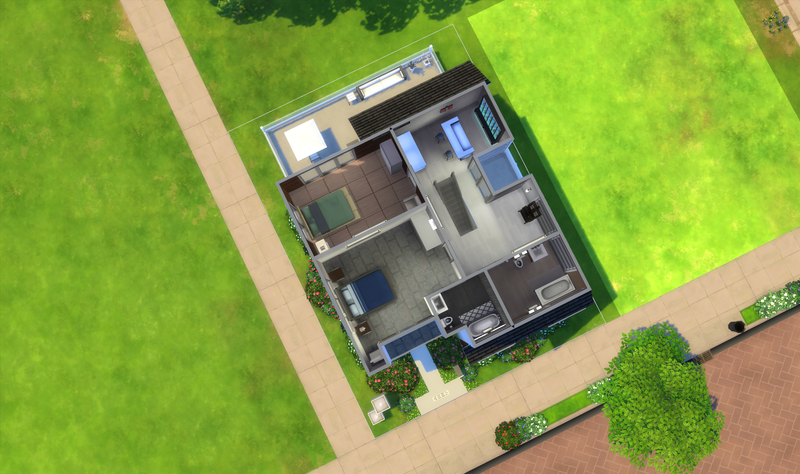 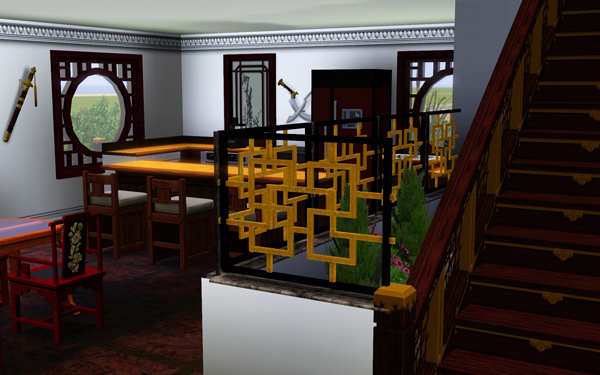 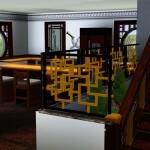 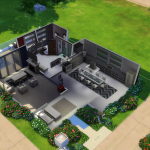 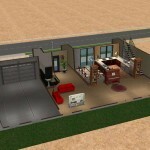 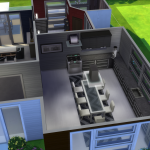 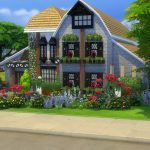 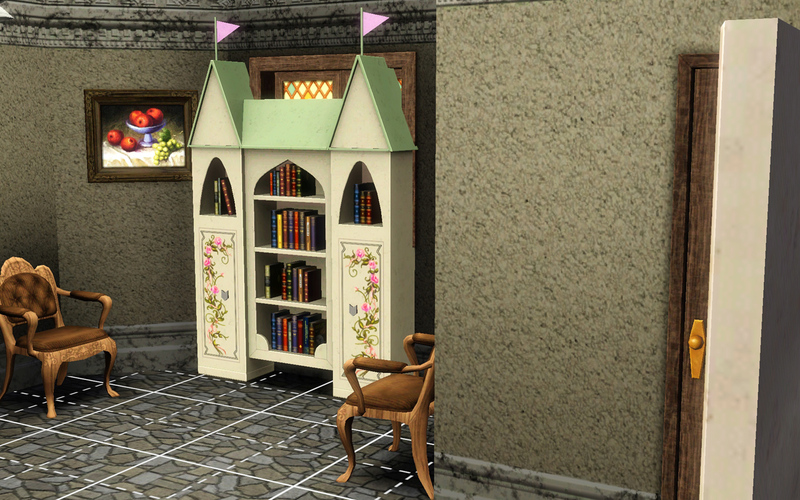 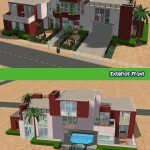 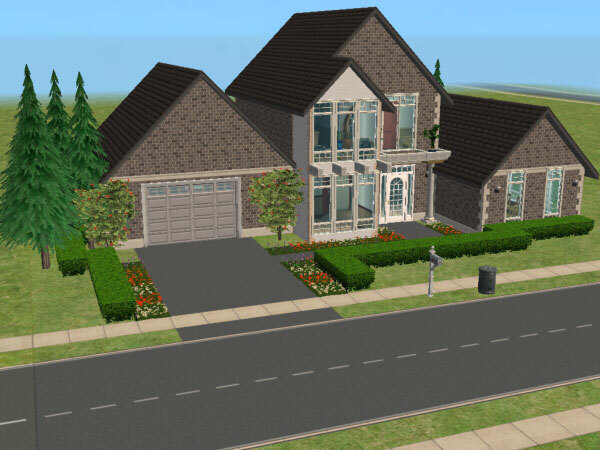 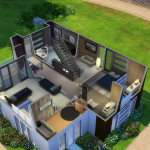 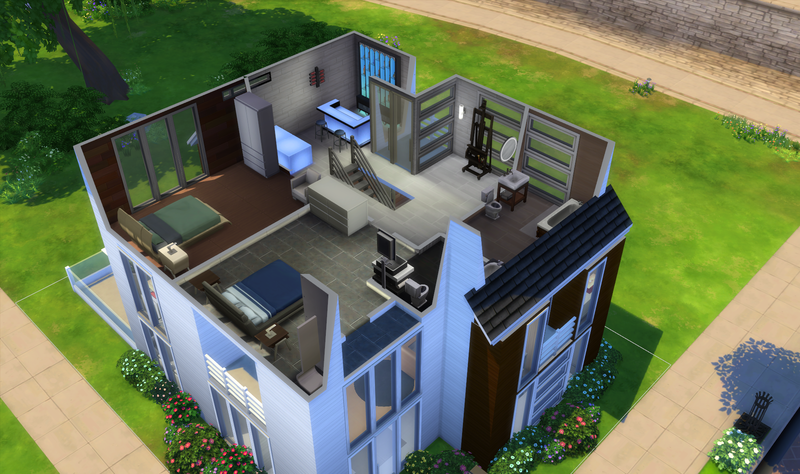 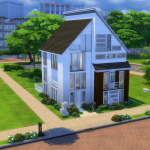 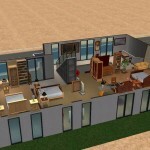 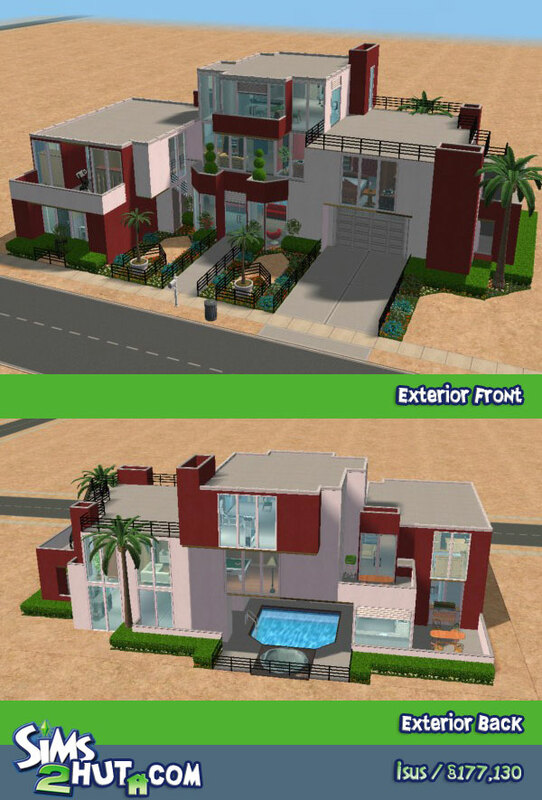 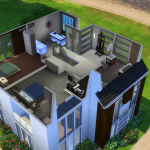 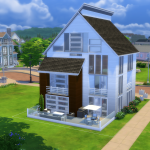 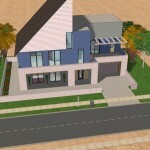 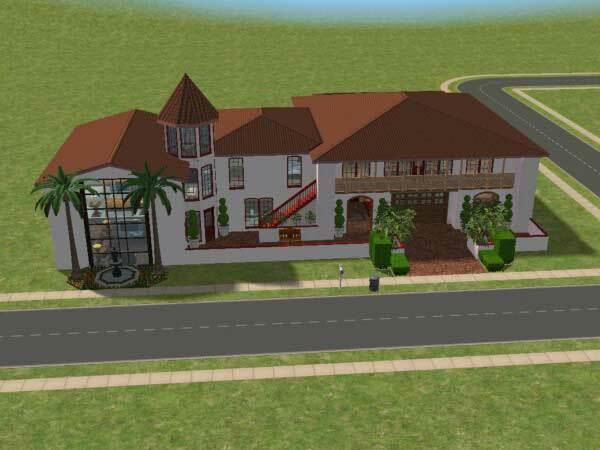 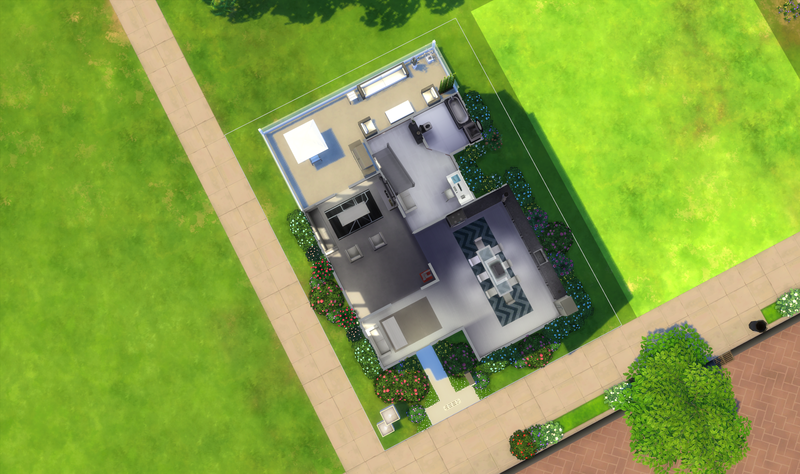 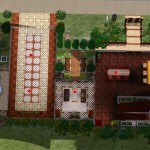 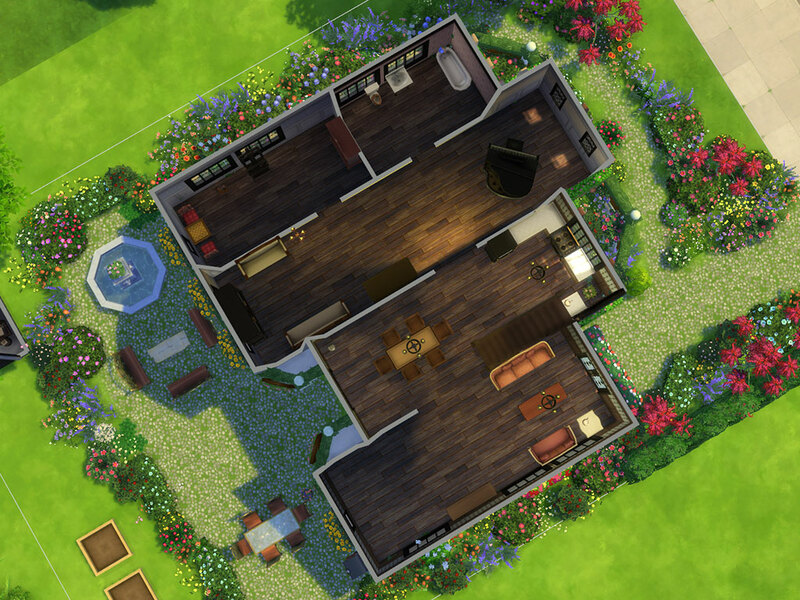 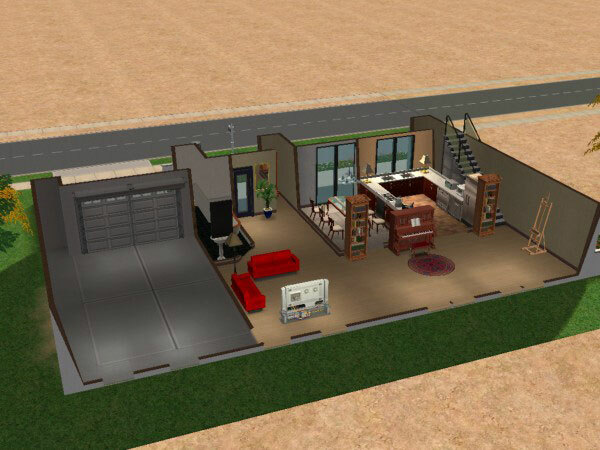 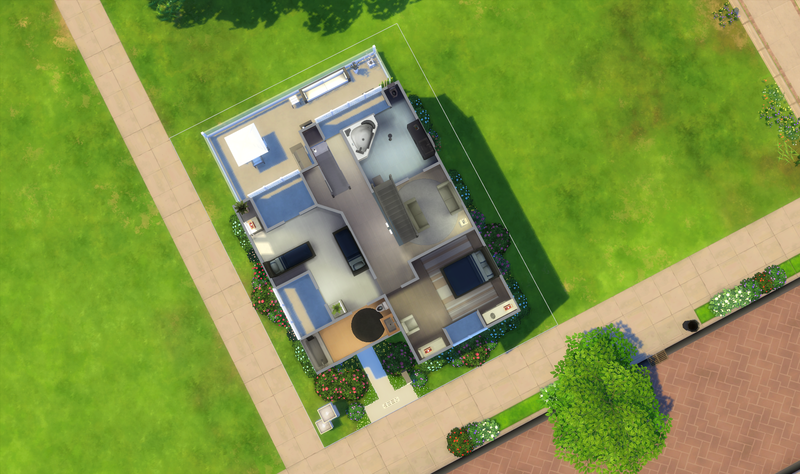 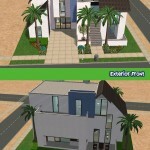 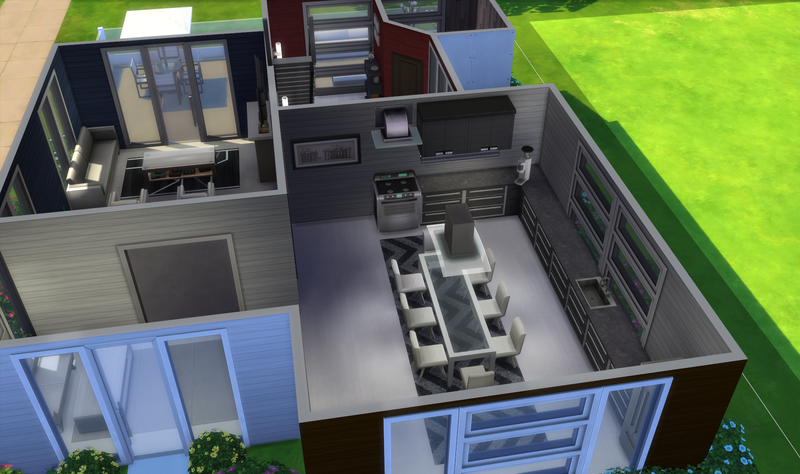 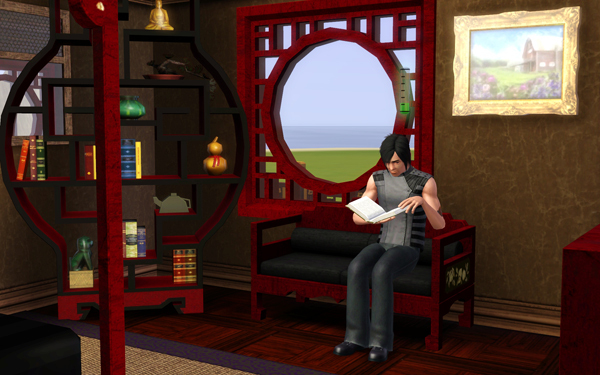 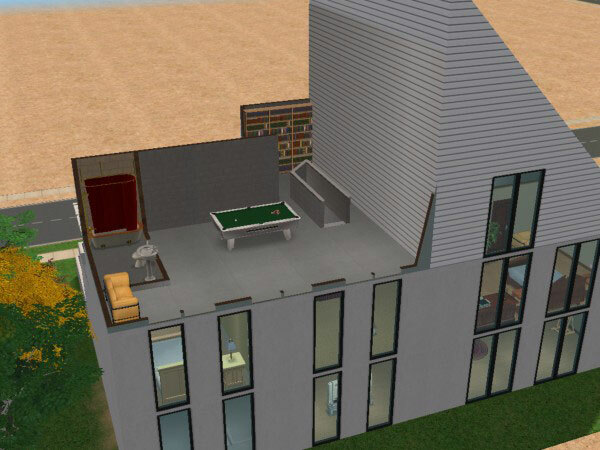 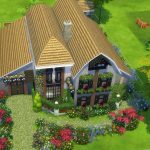 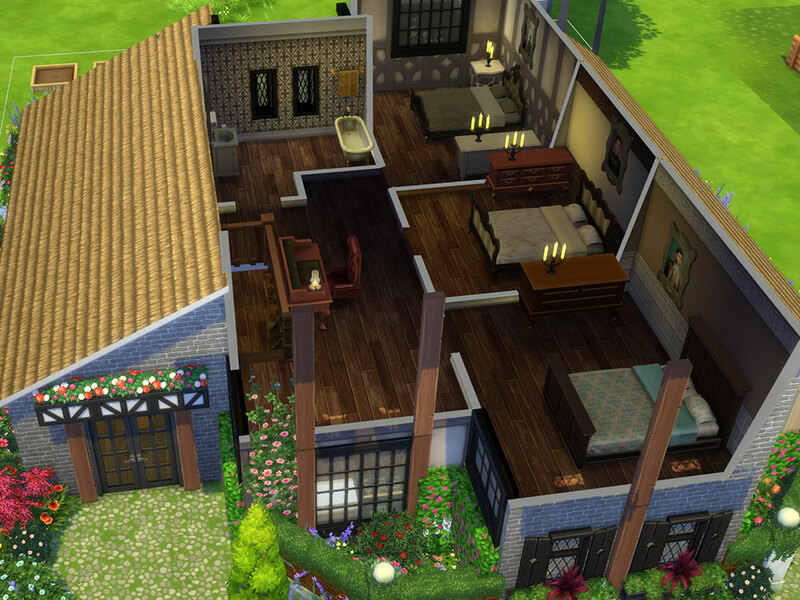 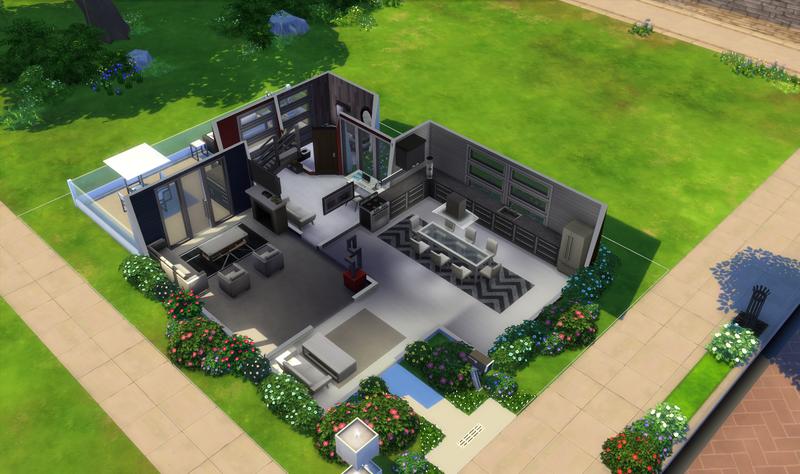 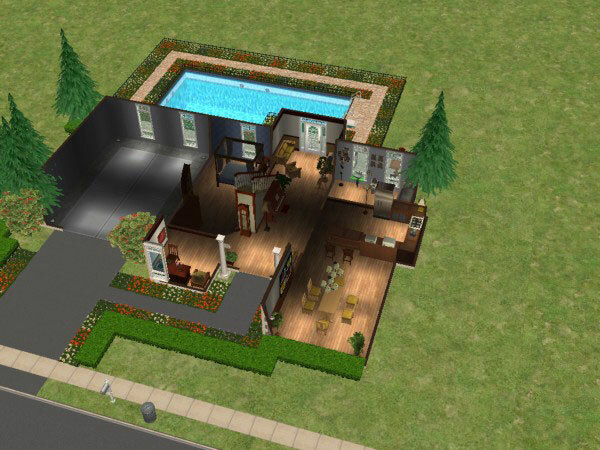 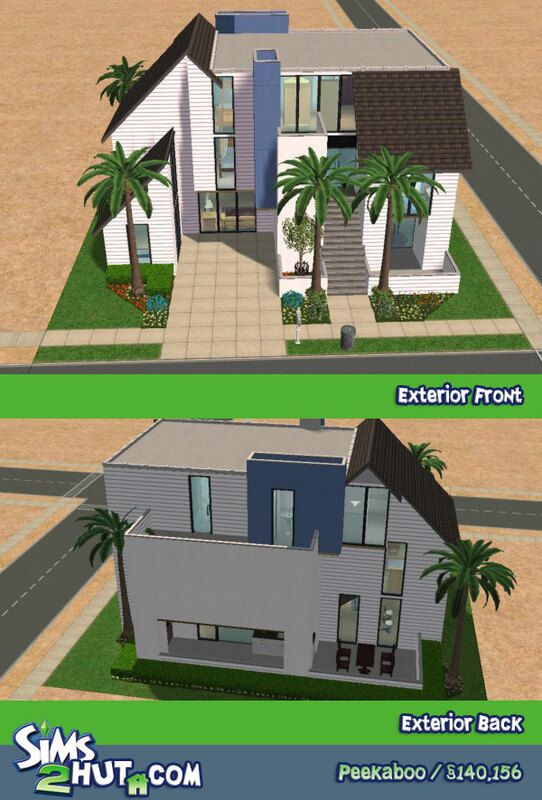 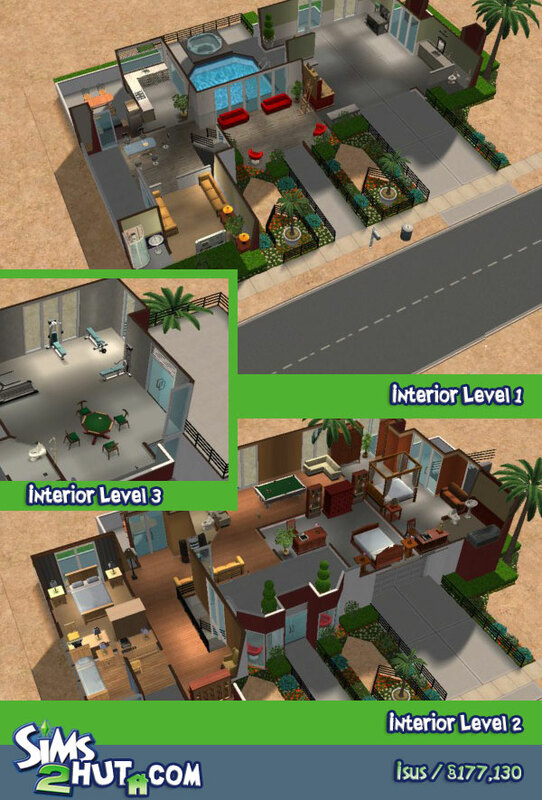 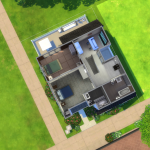 This modern 3 story “from scratch” may look small on the outside, but it features everything a Sim could want. 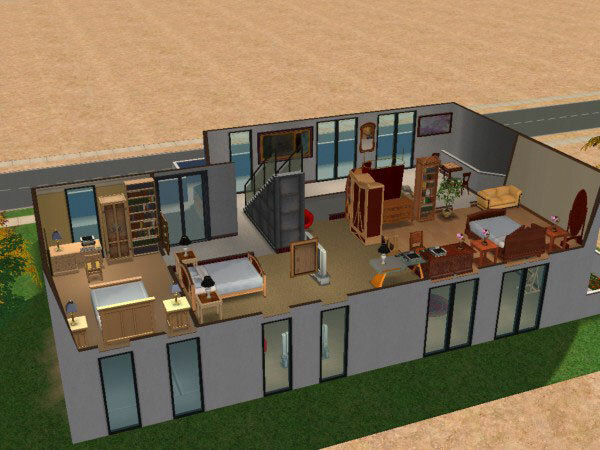 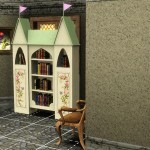 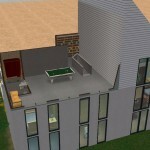 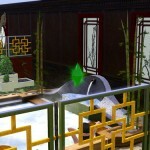 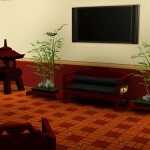 This modernhouse features three upstairs bedrooms, a top floor game room and bathroom, and many other ameneties. 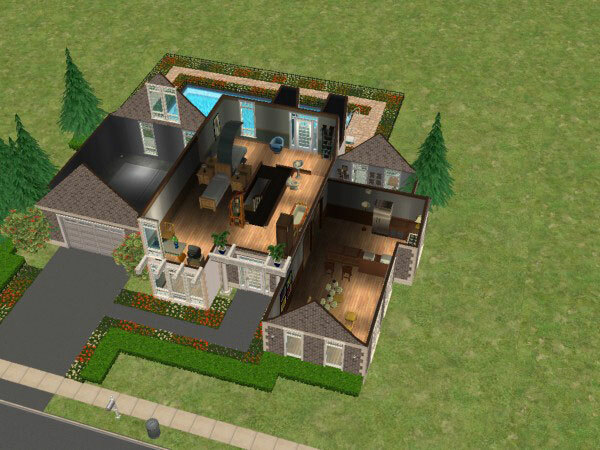 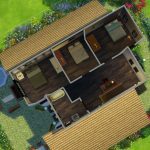 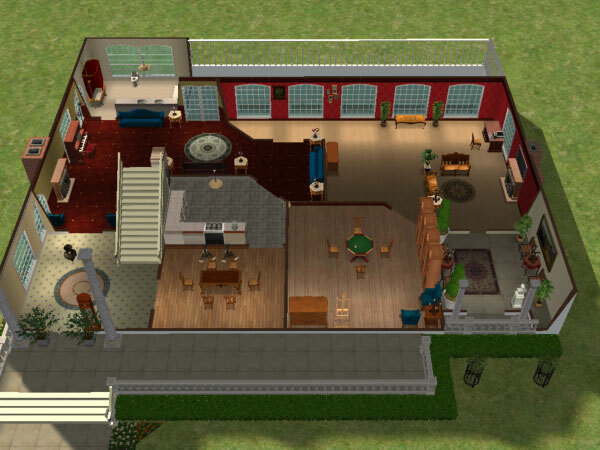 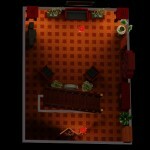 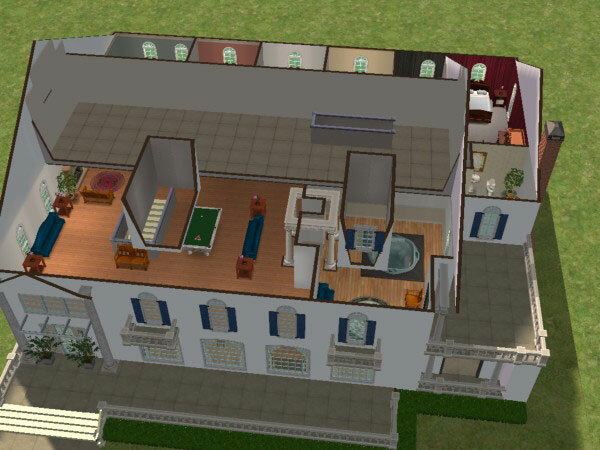 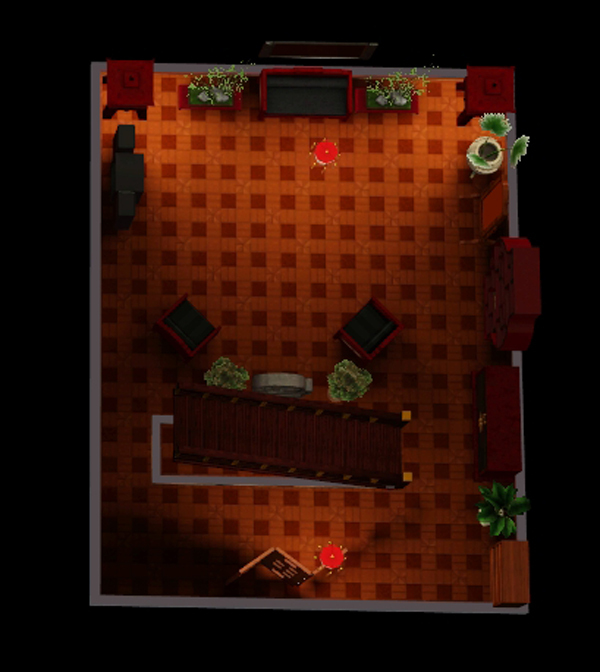 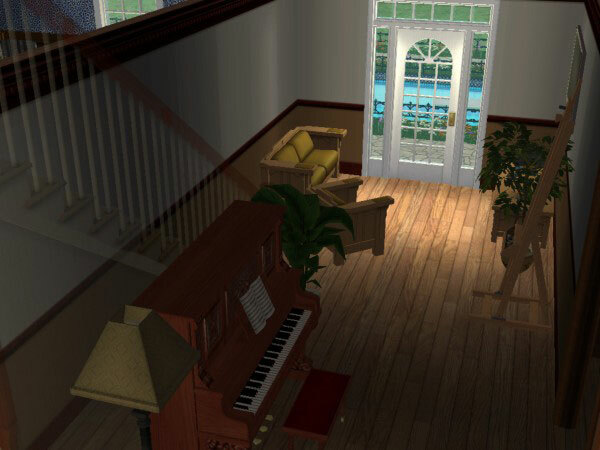 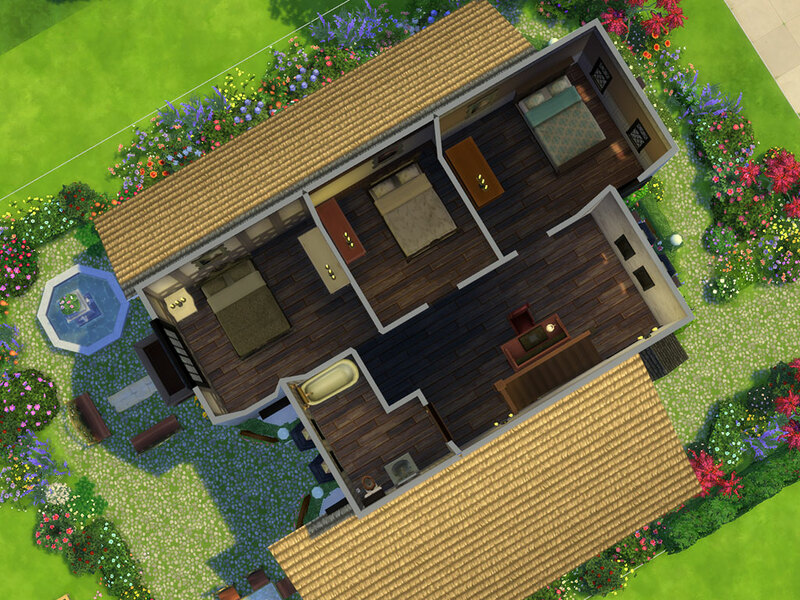 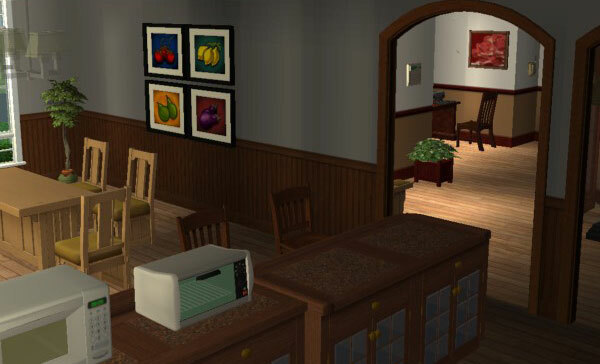 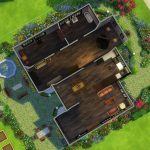 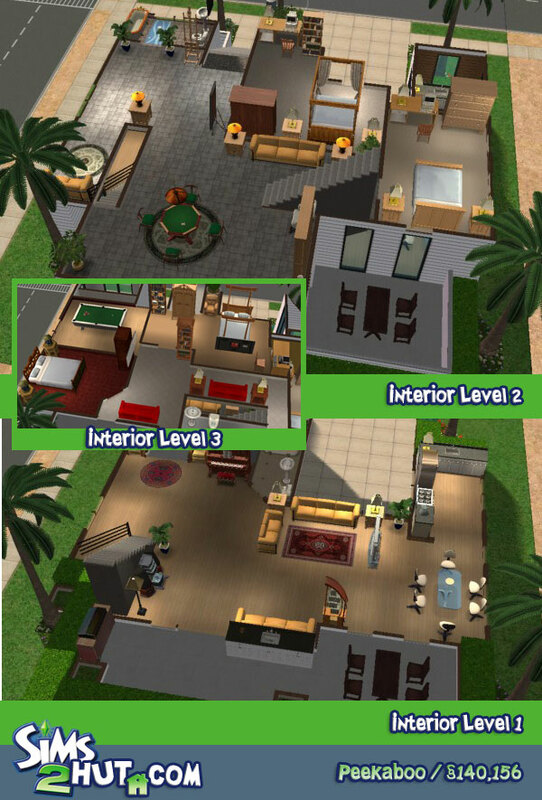 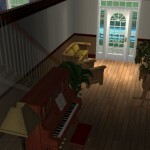 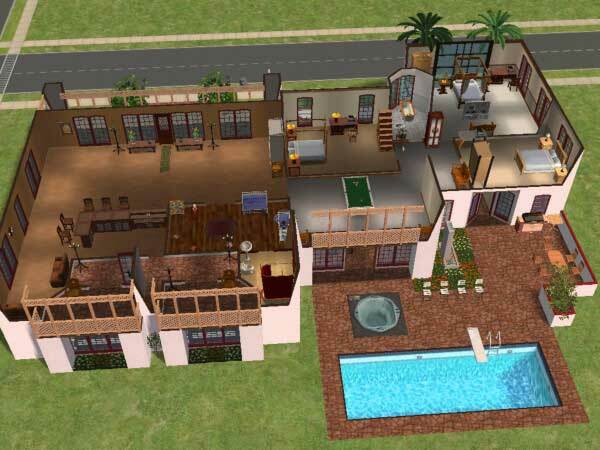 This does look a lot like the house by djsclaus because we looked at the same reference, but this has 3 working levels, a different floorplan, and slightly different design.